They say that dogs are man’s best friend…which means through thick and thin, good and evil. If a dog is well trained, they will basically assist their human partners in any way possible. That’s normally a very good thing…but in this case, it’s not so well-intentioned (it is hilarious, though). 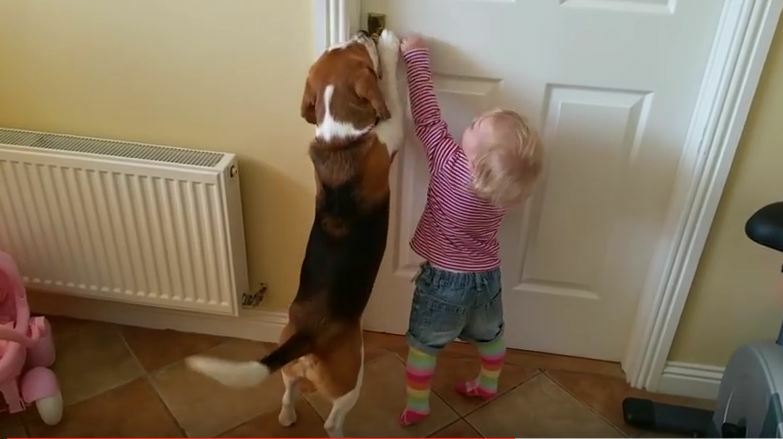 When a baby attempts to break out of confinement, she enlists the help of her beagle bestie. These partners in crime are beyond adorable. I have a feeling these two are going to get in a lot of trouble when they’re together. Better keep a close eye on them, because they’re obviously in cahoots. I’m sure this won’t be their last escape attempt.